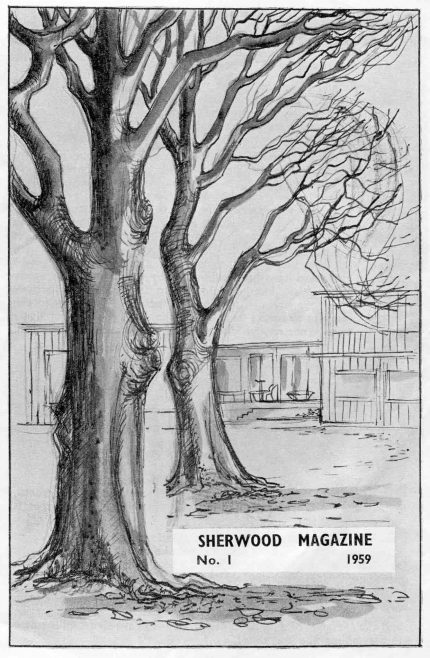 Sherwood Hall Girls School was built on land a short distance from the Old Sherwood Hall which in 1957 was occupied by Saville House School, a private school for day and boarding pupils. 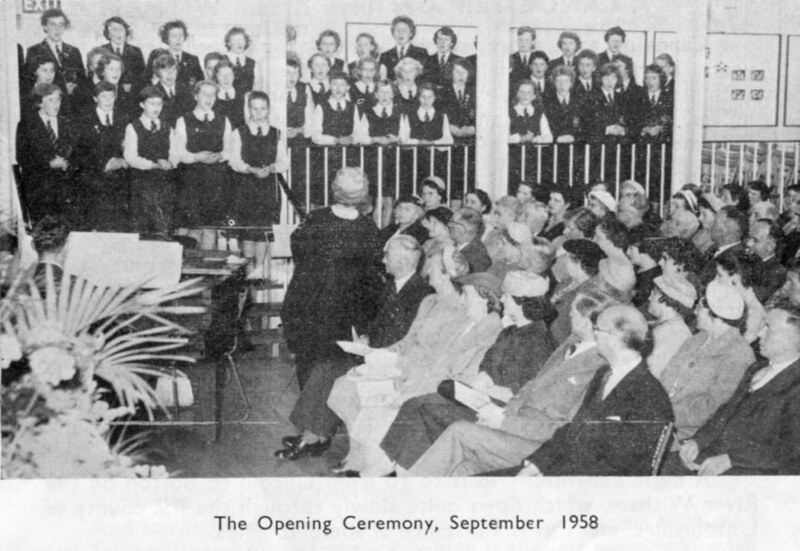 The new school building was occupied from September 1957 the number of girls starting on that date is unknown. The Deputy Mayor of Mansfield Cllr A A Armstrong welcomed everyone, and Mrs C E Arregger MSc. F inst P performed the opening ceremony. Rev P G Walker gave a prayer of dedication. Tea was served in the dining room and visitors toured the school, it was declared a very successful afternoon. 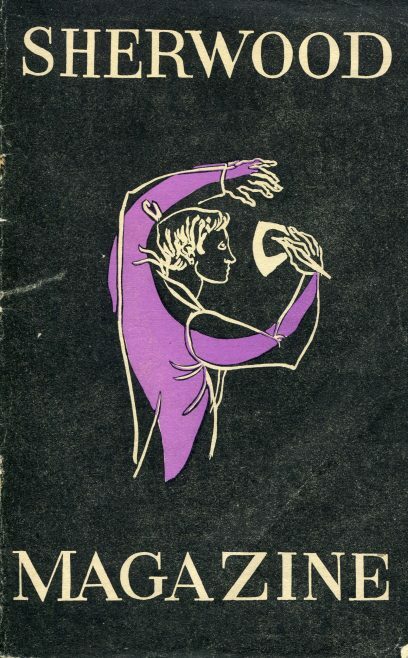 The school magazine was launched in 1959 and thanks to a former pupil at least the first four copies have survived, which give an insight into the early years of the school. We are told Miss Williams designed the cover of the magazine and that Mr Wood ‘was an untiring and patient business manager’ also that the “staff” of girls from U.V. gave willing help in assembling the magazine. The school had six ‘Houses’ Austen, Bernhardt, Curie, Ferrier, Nightingale and Somerville. There were various clubs: The Flower Club, The Dancing club, Music Club, Sailing Club, The Scientific and Geographical Society and The Literary and Debating Society. The Dancing club met on a Friday in the Assembly Hall where they were joined by the boys of the Secondary Technical School who it seems they taught to dance! To qualify for the Sailing Club you had to pass a swimming test. The school had its own boat ‘The Sherwood Queen’ which had been built by Mr O H Hayes, he had occasional help of rather ‘unreliable ‘ volunteers! Sutton Res was the venue for the Sherwood Hall Sailors and their boat – just how long it stayed sea worthy is not revealed but a lot of time was spent repainting it in various colours. The magazines are full of school activities: such as visits to The Western Theatre Ballet at the Civic Hall, Mansfield, “Peer Gynt” at Nottingham Playhouse, Peak Cavern, Derbyshire, Haddon & Hardwick Hall, Derbyshire. 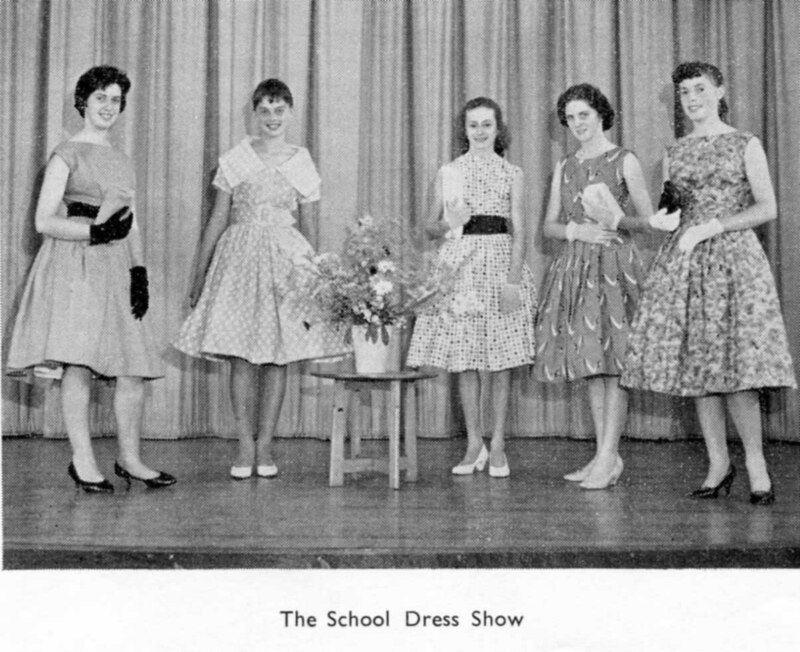 There is a report on a pram pushing event from Mansfield to Hucknall and back, and a photo on the School Fashion Show in July 1960. The school had their own sports events and also took part in Mansfield and Nottinghamshire Sports, and additionally Swimming gala’s in Mansfield and Nottingham. ‘Rumours had spread that “Sherwood Hall” was to go into boaters, but no-one was certain except us, the pupils, and our parents, and we were quite secretive about them until all was ready. 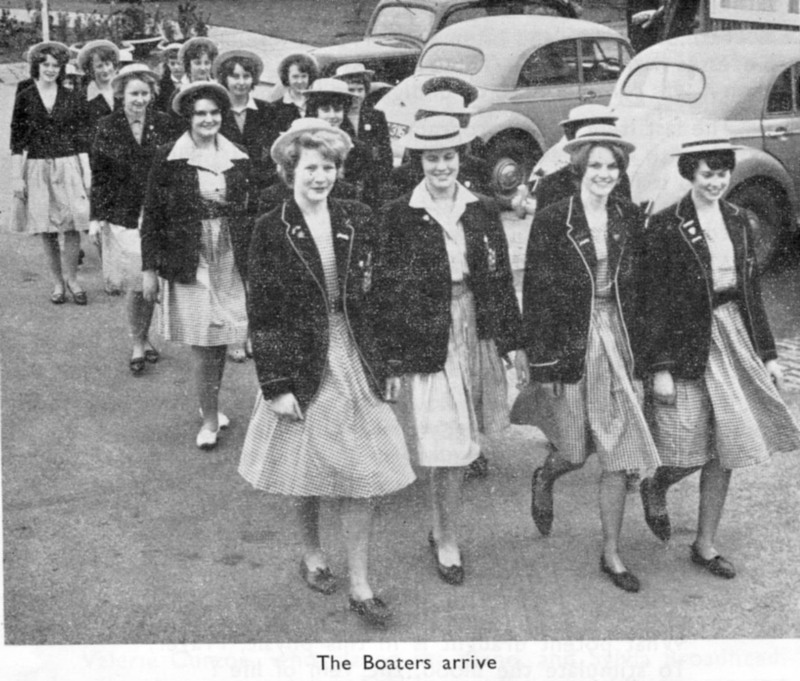 Miss Taylor had earlier asked the older girls to consider the introduction of boaters, and from the start most girls were very enthusiastic and eager to have them. When the great day, Tuesday 27th April arrived, when we should all start to wear the boaters, everyone was excited and I think a little nervous at what the reaction would be. This is just a brief insight into the early days of the school, hopefully they will stir memories for many former pupils who will find time to add comments to this page. The girls in the boaters were 5th year, and had all transferred here having passed the ‘ 13 plus ‘exam 2 years before! All the teachers wore their university black gowns in school and on speech day also wore the coloured hoods! After cookery morning we gave away the food to the local pensioners across the road. Great school. In the 6th form the staff treated you as students , and you could wear ordinary clothes ( within reason). Very interested to find this page. I was a pupil there from 1957 to 1959 4th and 5th year, having transferred from the old Tech. Loved the new school and we had strict rules about walking around the corridors making sure our bags did not rub on the walls. Miss Taylor was head.